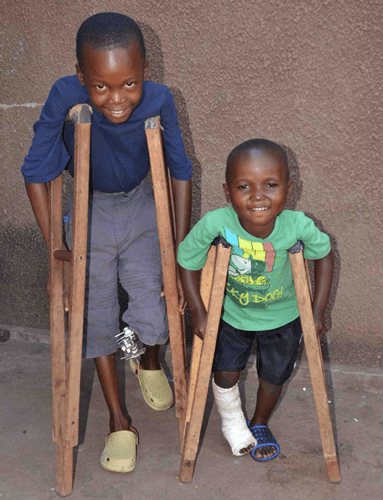 One4Another's primary focus is providing life-changing surgeries for children in Uganda who would never be able to afford it without outside help. 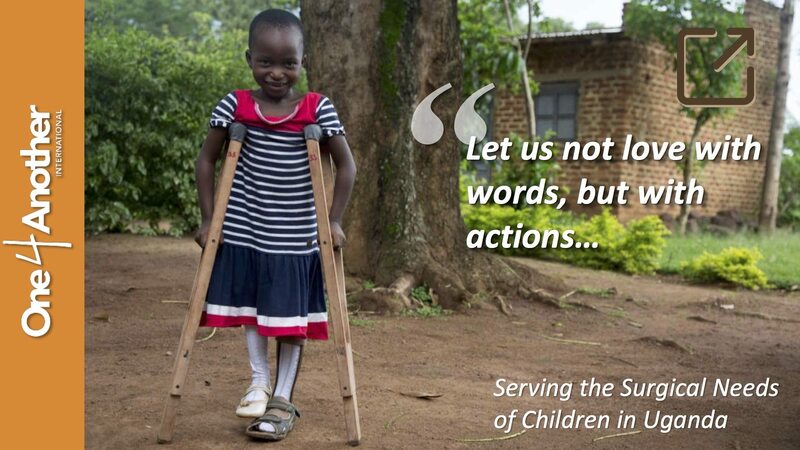 Many children in Uganda grow up with debilitating conditions and diseases which lead to a lifetime of suffering and exclusion from their communities. We can provide them with a brighter, happier future! Surgical care (including all fees from start to finish) that costs between $200 -$1,000, depending on the condition, can significantly shift the path of a child’s life from one of perpetual poverty to a life with the hope of education and eventually the ability to provide for one’s family. The surgeries and rehabilitations are being coordinated by our team of Ugandan nurses. We've partnered with clinics, hospitals, and local surgeons throughout Uganda but our home base is in the town of Jinja. Want to Learn More About What Do We﻿﻿ ﻿﻿﻿﻿﻿﻿Do﻿﻿﻿﻿﻿? Listen to this podcast of Glenn talking to the good people at Make Your Body Work. Personal trainer Dave Smith interviewed Glenn in order to engage his listeners in the work of O4A. The Make Your Body Work community is now raising money to get one of our kids up and walking!